Looking for Cheap Yet Professional Carpet Cleaning in Sydney? Looking for affordable carpet cleaning services? We offer the best prices for professional carpet cleaning. In and around Sydney, Inner West, North Shore, Sutherland, CBD and all over! Prices from $30 per room. Safe for babies, pets and your family! With over 20 years in the industry! 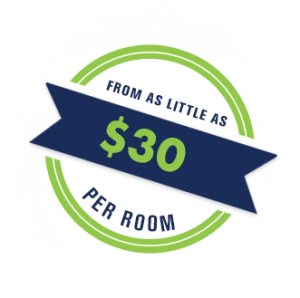 Our prices are cheaper than most and start for as little as $30 per room. View our price list here. 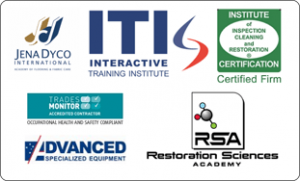 Our team are highly trained to follow strict Australian cleaning standards – learn more. We can proudly say we only use non-toxic, 100% biodegradable cleaning products. Safe for humans, safe for the planet! Is what we refer to as, “hot water extraction”. And is usually the first choice for many customers. 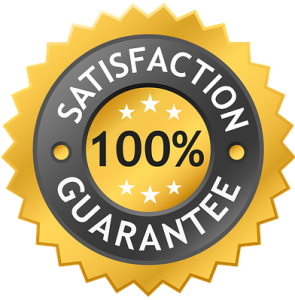 There is no other cleaning system that pretty much guarantees 100% soil removal. This method gets the dirt out from deep in the pile. The heat generated from the steam kills germs and bacteria. Above all, it’s excellent for stain removal. The best thing about steaming your carpets is we deodorise afterwards. Leaving your carpet smelling clean & fresh! Carpet dry cleaning is another popular way to clean your carpets. The great benefit of this method is your carpets dry much quicker than other methods! Carpets can be dry in around 30 minutes! Which is the perfect solution if you don’t have time to wait around for carpets to dry. Especially if you have kids! Even better for winter, because the carpets can dry in a few hours. The first step is dry vacuuming. This is very important, to remove all the dry particle soil initially present in the carpet pile before steam cleaning. In this process the cleaner removes the dry particulate soil that actually represents approximately 75 to 80% of the dirt present in your carpet. Hard to believe, but true. It can all be removed in this initial dry vacuum process using one of our industrial vacuum cleaners. It is important to vacuum regularly to improve the overall lifespan of your carpet. This helps reduce the “wear and tear” factor that comes with soil abrasion. Soil abrasion happens from dirt in the carpet that hasn’t been vacuumed out. We advise all customers to ensure they have a high grade vacuum cleaner that carries a Hepa filter to help with sufferers of allergies. In the second step, our technicians apply a pre-spray shampoo to the carpet pile. Which is left on for about 5-10 minutes to ensure maximum soil suspension. This also helps crystallize the particles to the surface of the carpet pile. Next, they will perform a scrub agitation using a motorised rotary brush machine. The scrub agitation is very useful in helping to remove stubborn heavy traffic soiling and tough stains. Lastly, hot water extraction is used to remove the suspended soils and detergents from the carpet. Please note – our team know to take particular care when scrubbing, so they don’t distort, burn or damage the carpet in any way. A hot solution (130 degrees) containing an emulsifier rinse is injected into the carpet pile under mild pressure. Followed by a simultaneous vacuum extraction that lifts the dirt out and any excess moisture. Your technician will apply protective squares or coasters to all furniture. To prevent marks on the carpet after it dries. We also use an emulsifier rinse in the hot solution to ensure there is no surface tension when injected into the carpet. This ensures that no detergent residue is left behind that can cause rapid re-soiling. Rapid re-soiling is the cause for many customer complaints. Because customers feel that their carpet wasn’t cleaned properly in the first place. And that’s why it looks dirty again so quickly. Emulsifiers and acid rinses are just as important as using the proper pre-spray detergent when cleaning your carpets. You will not believe how many companies don’t use it at all. Lastly, we will apply a sanitising deodoriser to ensure a fresh overall feel and smell to the finished job. The sanitiser helps to ensure that all microbial or bacterial materials are destroyed. Its job is to break down any bio-organisms that may have been present on the carpet. This can be from things like; vomit, pet urine, faeces, cultured food products. Or any type of organic matter. Finally, the technician will groom the carpet to set the pile. Grooming is an important final step in ensuring that carpet piles are left as open as possible. This will allow maximum airflow for fast drying. Most importantly, so you don’t have to wait long for the carpets to dry. One of our experts will perform a walkthrough assessment with the client to address the areas of concern. Then, we will determine the most effective technique to get the best results. Next, a pre-spraying of pre-conditioning “Traffic Lane Solution” is applied to the carpet. With a double dose applied to heavy traffic areas. This will assist in soil “lifting”. To follow, an encapsulation solution is applied. If necessary, the carpet is raked or agitated to help loosen dirt or stains. This is essential for cleaning heavily soiled rooms. A spot treatment solution is applied to stubborn stains. To assist in removing these marks during cleaning. The carpet is then thoroughly dry cleaned. Paying particular attention to heavy traffic areas for maximum soil release. Lastly, a deodoriser is applied to leave your carpets smelling clean & fresh. If you need a deep clean, that delivers a spotless result. Then you can’t go past our multi-stage Gold Standard Cleaning System. Perfect for “bond back carpet cleans”. Our step by step process guarantees you a flawless finish and beautiful fresh smelling carpet, every single time! Encapsulation pre spray shampoo applied for maximum soil suspension. Spot treatment for difficult stains. Carpet is rotary scrub agitated for maximum soil emulsification “lift” and opening of carpet pile ready for cleaning. Carpet is steam cleaned using high-temperature hot solution extraction method. Carpet rinse surfactant emulsifier is applied to leave carpets in a PH neutral state and residue free. Deodoriser neutraliser is applied to leave a fresh smelling and healthy carpet.